How to assign tax to a Quote. Taxes can be setup in one of two ways. The first will apply a single rate to all taxable items (note that products and labor are handled separately). The second will allow you to apply a unique tax rate to individual products and/or labor. To apply your tax setting navigate to Settings and then to "Taxes" under the "Catalog" group. Here on the right side of the screen you will find the options described above. While you can create taxes as part of the tax assignment process, you can manage your taxes from Settings under the "Catalog" group. By default, your account has two tax items both configured to apply a single rate against all taxable items: one for materials and one for labor. The taxes managed here will be available to choose from when you create an Opportunity or edit a Quote. 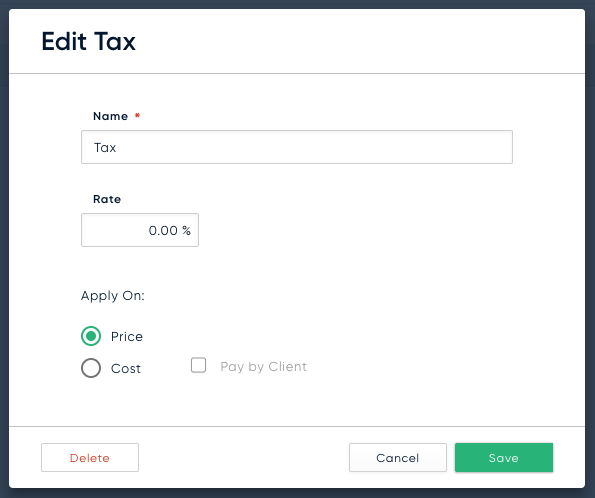 To update the taxes we provided you can click the name of the tax or choose the "Edit" option from the more menu on an item. In the Edit dialog you have options to change the Name, Rate, and what the tax is applied to. 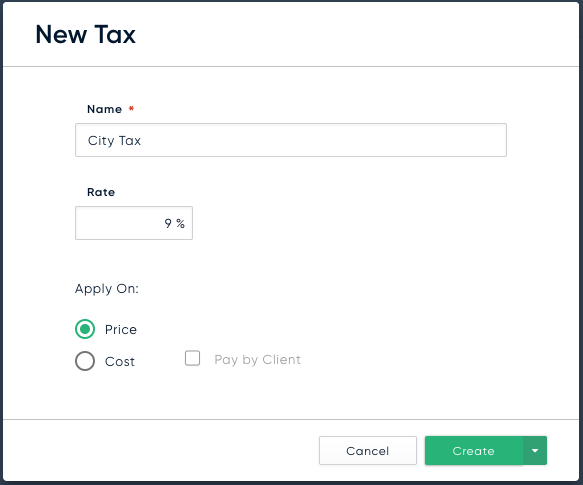 To create a new tax choose the "Nex Tax" button above the "Taxes" list. Next you will be asked to choose between a Tax or a Tax Group. For this example, we will choose the "Tax" option. Tax Groups allow you to bundle multiple taxes together. 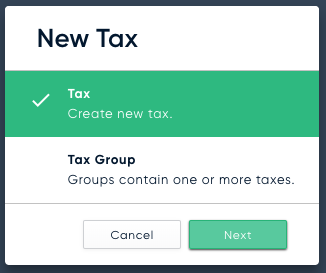 When multiple taxes are needed on the same Quote, selecting a Tax Group will apply all of the taxes at once eliminating the need to include each individually. 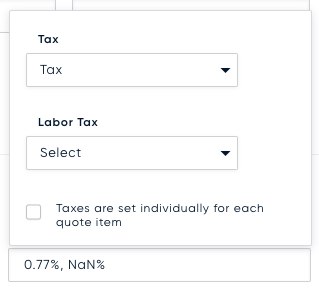 Now you can provide a Name to easily identify this tax from other, a rate, and what it should be applied to. Now that we have taxes in place, we will look at the ways taxes can be assigned to a Quote. 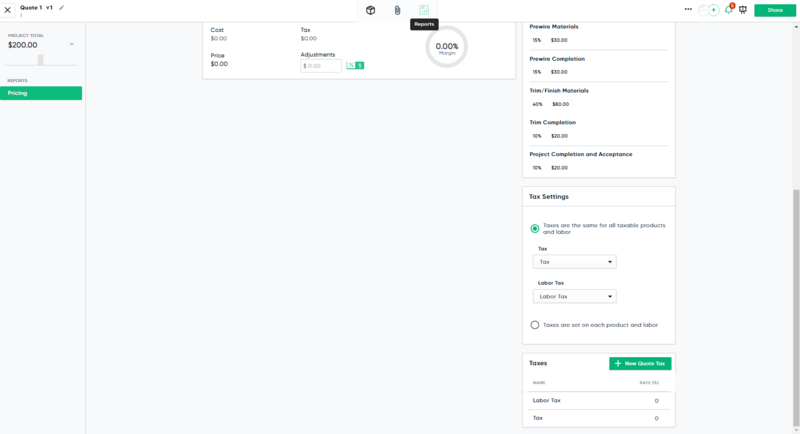 We provide two places to assign a single-rate tax to a Quote, the first is while creating a new Opportunity and the second from the Quote editor. 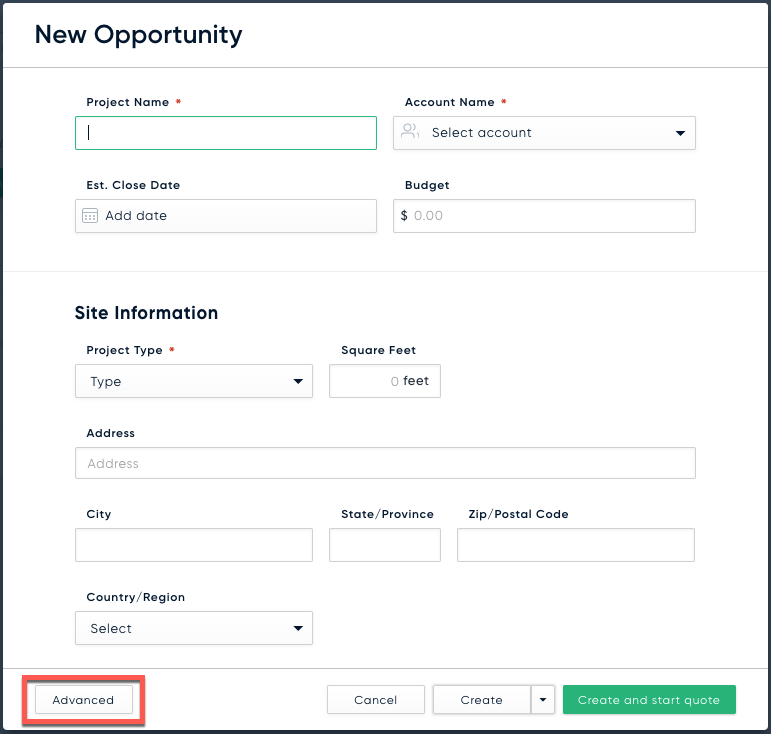 When creating a new Opportunity select the "Advanced" button in the bottom left corner of the dialog. 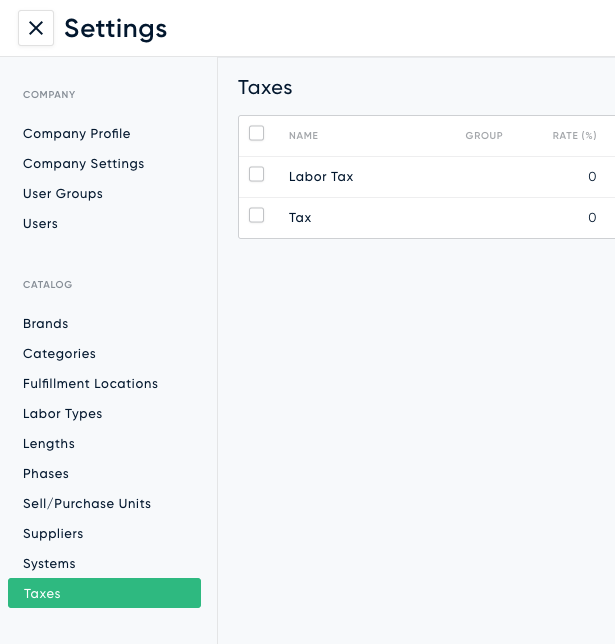 The "Tax" input will appear with your default tax automatically assigned. 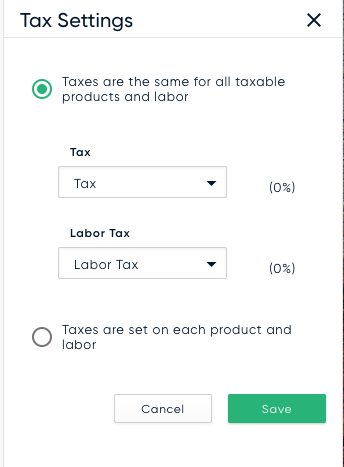 Clicking the "Tax" input will allow you to choose a different tax. 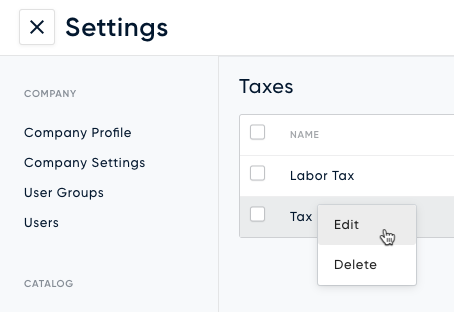 Choosing one of the dropdowns will also give you the option to create a new Tax. Taxes can also be managed from a Quote. To view and edit the currently applied taxes open the "Reports" tab in the header and scroll down towards "Tax Settings".